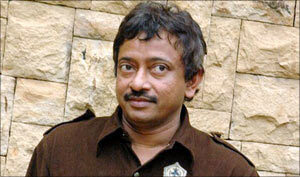 Rediff.com » Movies » Will the real RGV please stand up? Will the real RGV please stand up? His factory was the stuff of which edgy dreams were made. He confronted convention, discerned talent and showed that guns and gravel could make perfectly acceptable substitutes for candyfloss. Aspiring writers, film makers and technicians found a messiah in the producer-director who rolled out movies on a conveyor belt. Still, the last five years have added to Ram Gopal Varma’s repertoire a clutter of mostly forgettable cinema. The filmmaker’s latest release, The Attacks of 26/11, has been touted as one of his better works in recent times. In the company of films such as Not A Love Story (2011), Department (2012) and Bhoot Returns (2012), this is not immense praise. It was expected to be a game-changer and screenings were held for top cops and Members of Parliament. A sensitive subject and some unflattering reviews, however, dented the film’s performance. It had a poor opening and the international collection has not been something to write home about. Varma may have delivered a series of flops but that has not damaged his pace. The trailer for Satya 2, which will release soon, came out less than a week after The Attacks of 26/11 hit theatres. Ab Tak Chappan 2 is already in the works and Sarkar 3 will be developed shortly after. But this strategy of producing films every few months has led to them having shorter shelf lives. The small budgets were abandoned to rope in superstar Amitabh Bachchan as the larger-than-life Sarkar and Sanjay Dutt as an inspector in Department. Following that film, Varma’s association with Dutt turned sour and resulted in a series of scathing tweets. Sarkar Raj in 2008 was Varma’s last memorable hit. The predictable industry that Varma was battling has since opened up to interesting ideas. Unusual films with modest budgets are lauded if executed well. While inspired by real life episodes, Varma’s earlier characters and stories were largely works of fiction. With The Attacks of 26/11 and Not a Love Story — based on the Maria Susairaj murder case — he stepped into the genre of docu-dramas. “In India, we do not have a docu-drama audience till date,” notes Mehra. According to Varma, his ability to bounce back after flops comes from never treating anything as a failure. “Others see the effect and I would analyse the cause. The moment you truly understand the cause, your failure will become your strength and the new-found knowledge will lead you to success,” he wrote on his blog, later admitting that this did not prevent him from making new mistakes. Among these new mistakes is a shift in focus from strong themes and crisp words to darker and dramatic images. The experimental rogue camera technique he introduced recently, where digital cameras are placed in various spots to capture the scene from various angles, was trashed by critics. “But all the flak for camera work, the bum and between-the-legs shots, was only because the content was not strong enough,” explains film critic Mayank Shekhar. The man, accused by some of having ‘no personal life,’ is said to spend his spare time watching movies, documentaries and short films. Of his romantic involvements, the director once said, “I have been taken and left many times” His ex-wife Ratna contributed inputs to Vodka with Varma, a Telegu book by lyricist Sirasri on Varma’s life. Varma has a daughter, Revathy. While seen as a serious man in television interviews, he maintained a very candid blog from 2008 to 2009. Now, he uses Twitter to offer explanations, lash out or just be cheeky. Varma is known to talk about the complexities of crime in a manner that would impress experts in the field of law. The film maker is inspired by the thoughts of Ayn Rand, Friedrich Nietzsche and Mad magazine.